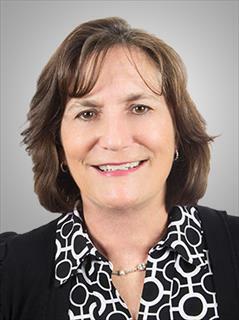 Cindy Rondino... "A Local Expert with a Tradition of Service!" Cindy is honored to be a part of Balistreri Real Estate, and she is pleased to bring to Balistreri's customers her unique experience and skills, together with her distinctive combination of personality and professionalism. Cindy has been actively selling real estate for 5 years, and has been involved in the business of real estate for over 30 years. As a Certified Public Accountant, she has worked for both Real Estate Development and Mortgage Banking Companies. Additionally, Cindy has experience in the Real Estate Appraising Industry. She earned a Finance degree with a concentration in Real Estate from the University of Miami, where she also earned a Master's in Business Administration. Her knowledge of Real Estate is extensive but it is her excellent customer service where she truly shines. Cindy takes pride in helping both buyers and sellers by doing whatever is necessary for a successful transaction and a happy client. As a resident of Lighthouse Point since 1996, she enjoys introducing new people to the area. Cindy is extremely knowledgeable in Lighthouse Point, Pompano Beach, Deerfield Beach, Fort Lauderdale and East Boca as well as surrounding areas. In today's changing market, flexible and creative strategies by a marketing professional are imperative. Cindy remains committed to excellence in customer service whether it is in the buying, selling or rental of property, large or small. Please call her to facilitate the purchase, sale or rental of your home.